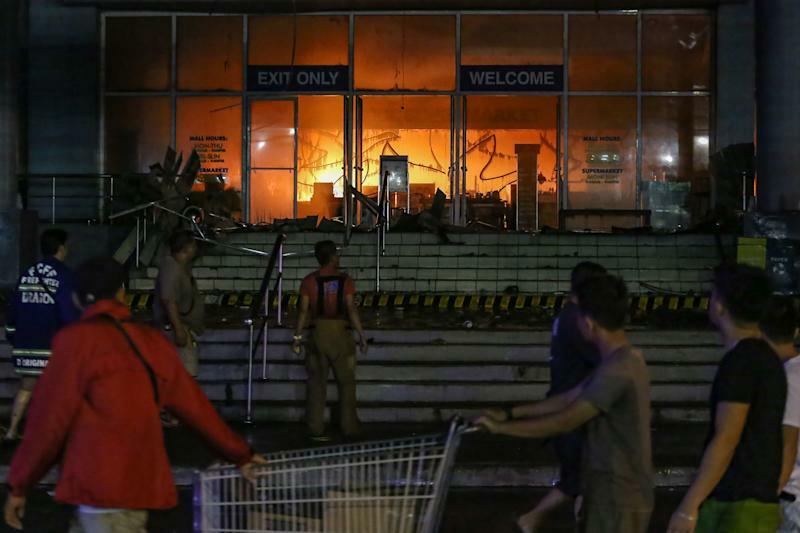 An enormous fire that consumed a shopping mall in the Philippine city of Davao, trapping at least 37 people inside, continued to burn on Sunday ― more than a day after the blaze began. 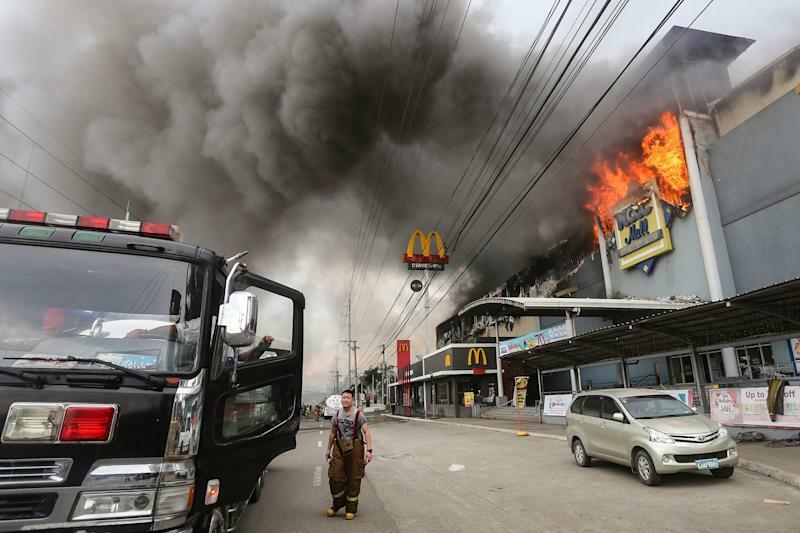 Firefightersrecovered one bodyfrom the still-smouldering NCCC Mall on Sunday, reported CNN Philippines. Distraught relatives were told there was“zero” chance of survivalfor those still trapped inside, said Sara Duterte, the city’s mayor and daughter of Philippine President Rodrigo Duterte. She added that firefighters would not rest until all bodies are recovered and that an investigation would be launched into the cause of the blaze. 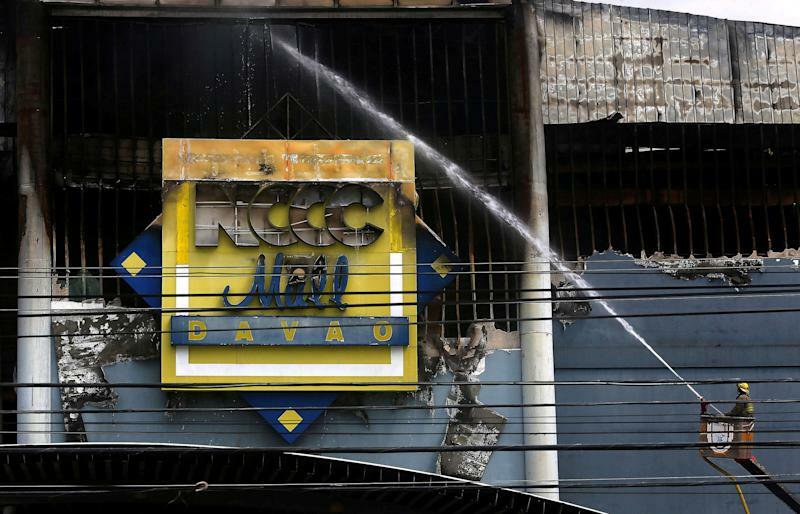 A firefighter stands in front of the NCCC Mall in Davao on the southern Philippine island of Mindanao. At least 37 people are feared dead in the blaze. On Sunday, a day after the blaze began, firefighters were still unable to enter the still-smouldering building. The fire is believed to have started Saturday morning on the third floor of the four-story building. SunStar Davao reported that most of the shopping areas of the mall werestill closed to the public at the time. Officials said many of those missingworked at a call centerinside the building, reported The New York Times. The southern Philippine island of Mindanao, where the city is located, has grappled with another tragedy this weekend. More than200 people on the island have been reported killed and thousands displaced because of flooding caused by a tropical storm. Mayor Duterte said on Sunday that in light of the tragedies that have befallen the region, the city government wascanceling all planned holiday festivities.